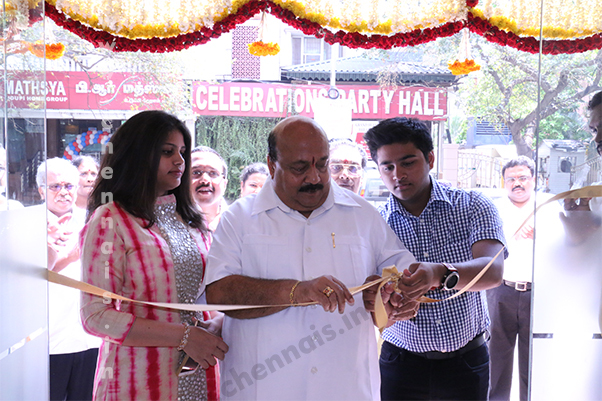 Nathella Jewellery shifted from usman road to t.nagar thanigachalam road.The new branch was opened by nathella jewellery chairman ranganath guptha by lightening kuthuveluku. 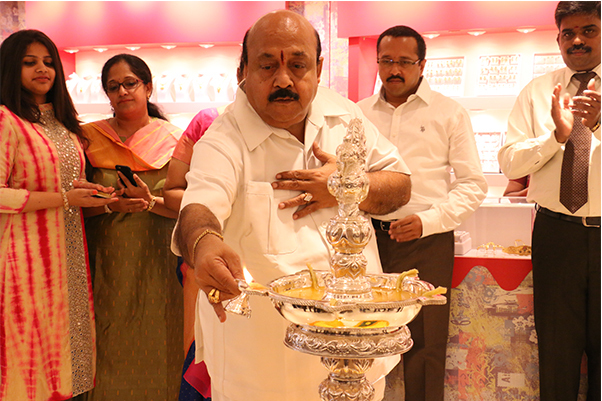 Nathella celebrating a new beginning at thanikachalam road and as a token of gratitude, Nathella are gifting gold coins worth 25 lakhs. Nathella have relocated from South Usman Road to a fabulous new showroom on Thanikachalam Road. 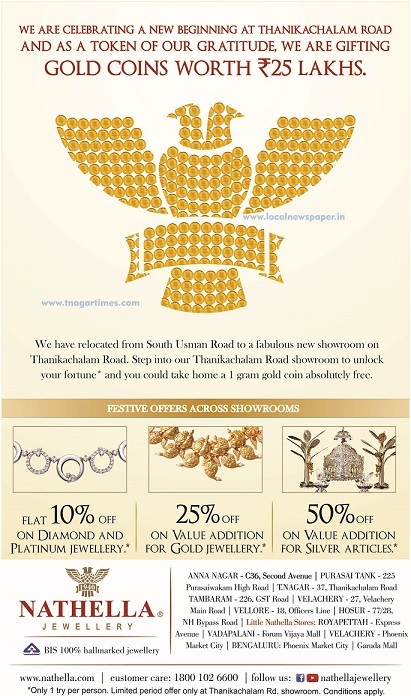 You can Step into Thanikachalam Road showroom to unlock your fortune and you could take home a 1 (One) gram gold coin absolutely free. Limited period offer only at Thanikachalam Rd showroom, Conditions apply. Only 1 try per person is allowed.